After a brief interview, the judge might send the convict to jail for a weekend for noncompliance, or offer praise and a promotion to the next phase of mental-health court’s demanding two-year program. Caldwell’s mental health court is where you’ll find Shannon Guevara, 34, a Nampa housewife and mother of four. She’s been to prison twice. This is her chance to keep from making a third trip. Shannon Guevara of Nampa is a recovering meth addict who is trying to repair family relationships and kick her addiction for good. Guevara is in a psychiatric treatment program recommended by mental health court. Guevara was arrested in July for holding an empty meth baggie — the methamphetamine residue on it was enough for a drug charge — and for violating probation. The mental health court team welcomed Guevara, who has bipolar disorder, but she’s waiting to find out whether a sentencing judge for her drug and probation charges will decide to send her to prison or to mental health court. Those plans were to kill herself. Mental health court is designed to rehabilitate Idahoans whose severe mental illnesses get them in trouble with the law — whether it’s stealing money to maintain a drug habit, committing a felony during a psychotic episode or getting caught with the uppers or downers they abuse to self-medicate. 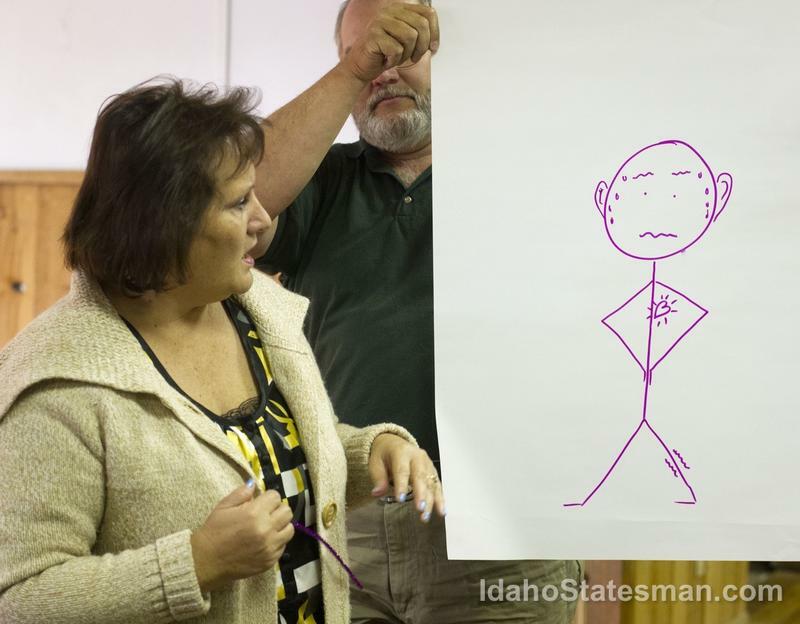 Idaho’s courtrooms, jails and prisons are full of people whose mental illnesses are linked to their crimes. When the U.S. began to “de-institutionalize” people with mental illness in the late 20th century, placing them in communities instead of in hospitals, those people increasingly ended up in the criminal justice system, according to the National Institute of Corrections. Many Idahoans with mental illness use drugs or alcohol to drown out hallucinations, stop panic attacks, numb post-traumatic stress or ease depression. Some end up committing crimes while drugged or drunk. 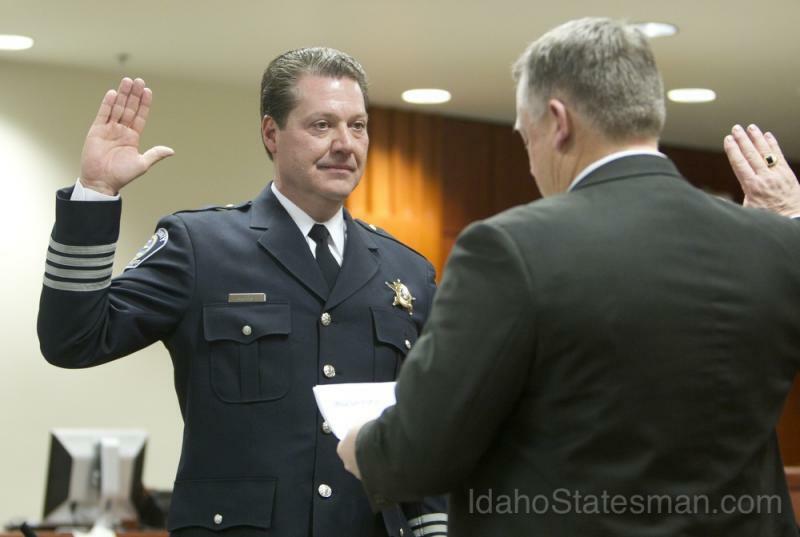 Ada County Sheriff Gary Raney said about 10 percent of the jail’s population have chronic mental-health disorders, and 20 percent have acute mental illnesses. Many have stopped taking their medications. One in three Idaho inmates has mental-health needs, according to the Idaho Department of Correction. When those prisoners finish doing their time, they have a much harder time finding work, staying on the good side of the law and getting mental-health care than other ex-convicts do. A national study will release findings this year on whether giving offenders Medicaid health insurance upon release keeps them from falling into crime and unemployment. 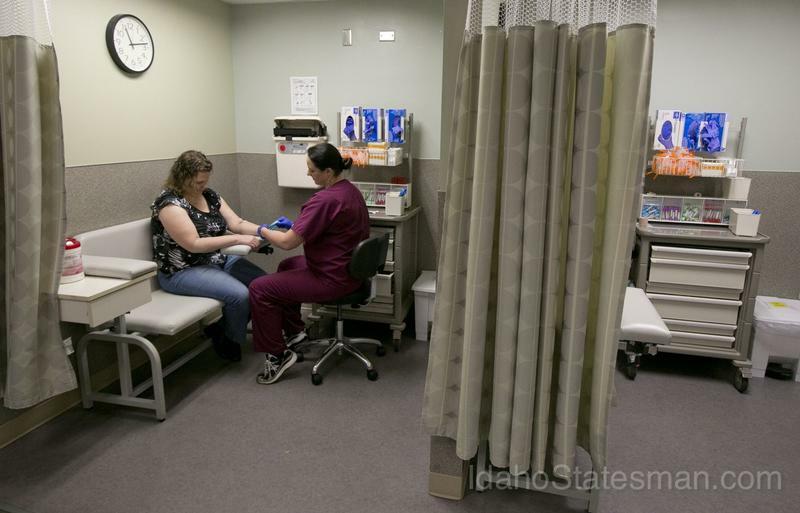 Idaho doesn’t offer Medicaid to most adults, and Gov. Butch Otter and the Idaho Legislature have balked at expanding the program. Guevara grew up in Caldwell in the 1980s and 1990s. Her mother was addicted to heroin, and Guevara tried crank — a form of methamphetamine — and marijuana as a teenager when people offered it to her at parties. But she never got hooked. Guevara says she was raped multiple times before age 15. Afterward, she began having symptoms of a psychiatric disorder, though she didn’t know that’s what was happening at the time. She just knew she didn’t feel OK. When Shannon was 15, she married Roman Guevara, a pipefitter and welder who was 35 at the time. Her mother, who knew she couldn’t take care of Shannon, signed off on the marriage. Throughout their 20-year marriage, Shannon Guevara has had mood swings — depressed episodes that trap her in bed for a week, and manic episodes of cleaning-and-shopping binges that last a few days. Roman Guevara says he long suspected something was wrong with his wife’s brain chemistry but didn’t want to accept that she could have a mental illness. 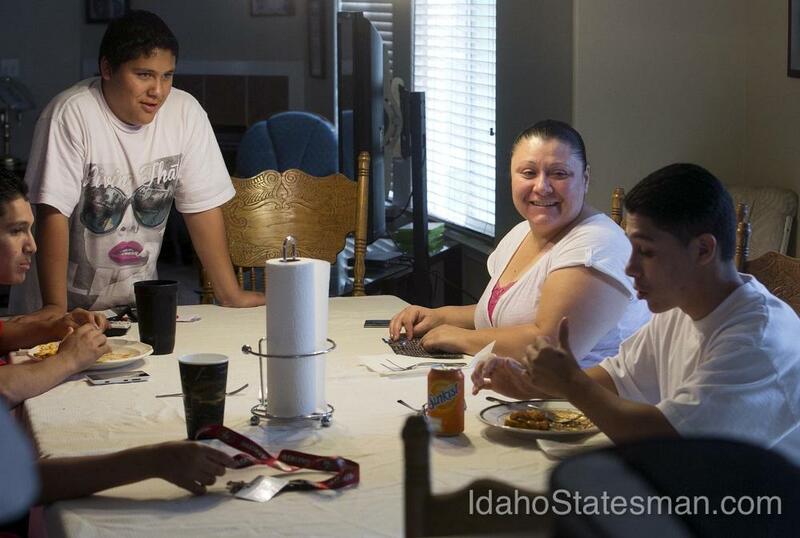 Shannon Guevara of Nampa talks to husband, Roman, as her children arrive home from school in late September. Her youngest child, Mercedes who is 12, helps fix dinner for herself and three older brothers before they all leave for boxing practice. Like many families, the Guevaras took a financial tumble in 2009. They had mortgages on two houses, sank too much money into starting a boxing club, got sued after their dog attacked a postal worker — and then Roman Guevara got laid off, eliminating their sole source of income. Shannon attempted suicide and was hospitalized. Doctors told the Guevaras what was wrong: Shannon had bipolar disorder. But Roman Guevara fought the doctors. When she got out of the hospital, Shannon took the lithium pills the doctors prescribed her, “but they made me feel like a zombie,” so she quit taking them. The Guevaras couldn’t afford for Shannon to see a doctor to fix the medications, and a friend suggested meth as a way to “keep up with everything,” Guevara said. Shannon tried meth and immediately got hooked. She couldn’t stop using even when it disgusted her. She spent the family’s sparse cash on drugs, lied to her husband, sold drugs to pay for her habit and was charged with battery for a fight. She was busted in 2009 after a drug deal — her first felony arrest — and sent to the state women’s prison in Kuna for eight months. The prison sentence only made her illness worse, she said. It was an easy place to ignore her deteriorating mental health, because her fellow inmates didn’t trust the doctors, and Guevara could sleep all day. There was no reason to get better. She was released, then relapsed and went back to prison for drugs in 2010. Got released, got clean again for almost three years. Then on Easter this year, her sister came to a barbecue at the Guevaras’ house with meth. Shannon couldn’t resist. Embarrassed and angry at herself for turning to drugs once again, Shannon wanted to die. She planned to drive her car off a cliff. The only thing stopping her, Shannon says, was that Roman knew she was on meth and suicidal again, and he’d taken away her car. Roman Guevara called police. The officers found Shannon on a Monday in early July, wandering in a Nampa subdivision near her house with the meth baggie in her pocket. Roman immediately filed for divorce. He was fed up and couldn’t predict what Shannon would do next. He didn’t want to be liable for his wife’s erratic behavior. Like everyone in mental-health court, Shannon Guevara got another chance when a judge wondered if her crimes stemmed from an untreated psychiatric disorder. Mental health courts are small, intense, “problem-solving courts” with defendants who have pleaded guilty to felonies and been diagnosed with bipolar disorder, schizophrenia, schizoaffective disorder or major depression with psychotic features. Defendants spend 18 to 22 months in a kind of mental-health boot camp. They attend classes. Go to 12-step meetings. Take psychiatric medication. Change their deep-rooted habits. Many of the people Jennings has shepherded through the program in the past nine years end up there because they ran out of money for medications, she said. 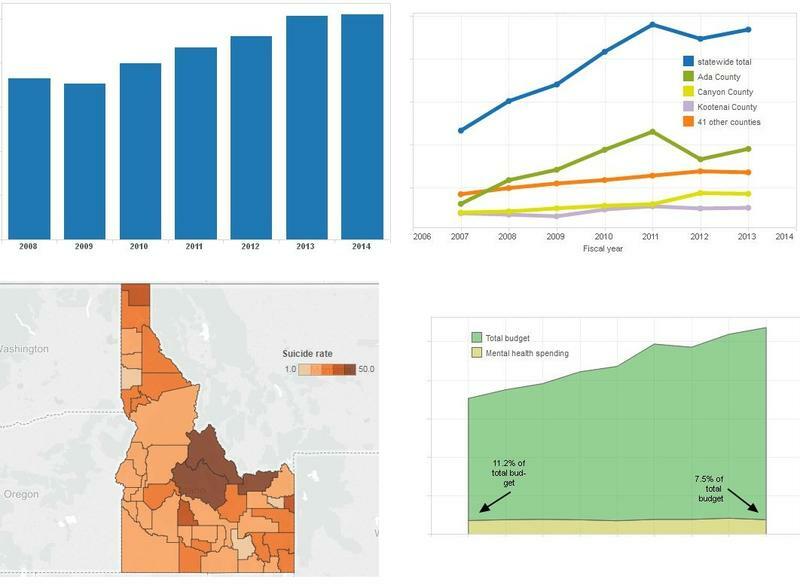 The courts are run through the Idaho Supreme Court, but the program draws resources from a laundry list of state agencies, with most of the hands-on treatment provided by the Idaho Department of Health and Welfare. The courts have a successful record. 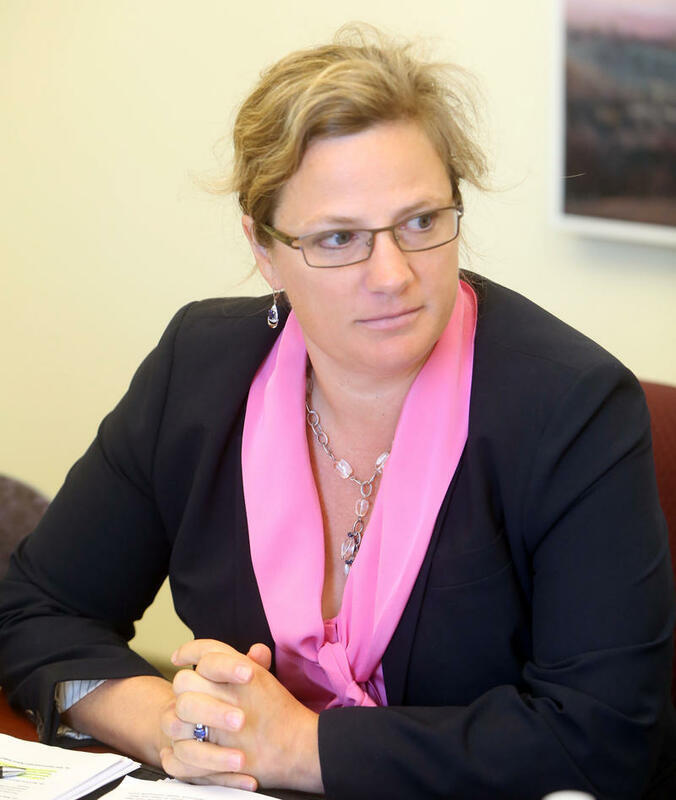 Not a perfect record — about 20 percent of the Ada County court’s graduates commit new felonies within two years — but that’s “much more successful” than straight probation, Jennings said. 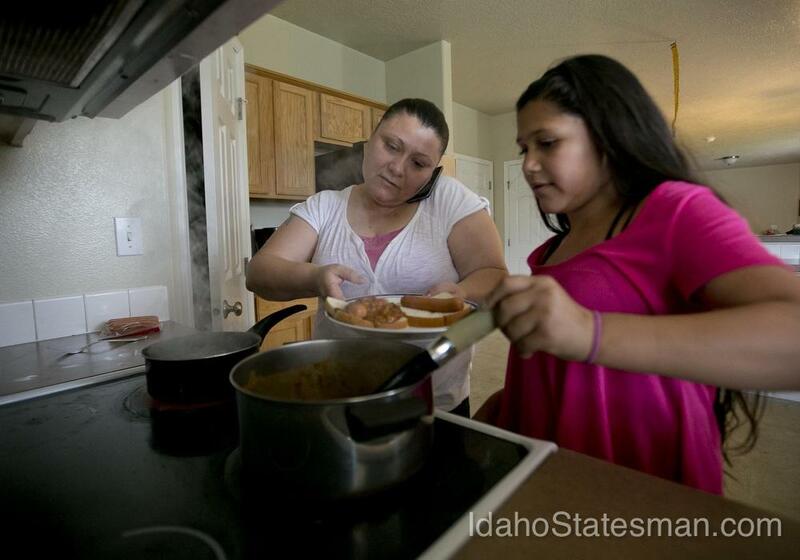 The recidivism rate for all Idaho Department of Correction probationers is about 31 percent. Ada County’s court can take about 40 people at one time. Canyon County’s has space for about 25. Health and Welfare once provided six full-time staff for Ada County’s court. Now it’s down to four. Another funding gap that drags on the potential success of mental-health court is a $55 to $60 monthly fee — meant to cover utilities and overhead — that the defendants must pay to gain access to a pool of housing money. They aren’t allowed to work in the early stages of the program, so finding $55 or $60 each month can be impossible. A woman in the Ada County program just lost housing because her family couldn’t afford to pay her housing fee anymore, Jennings said. She ended up in a homeless shelter. The Rev. Bill Roscoe, who runs Boise Rescue Mission, confirmed that his organization routinely houses mental-health court participants. Nobody is allowed to do mental-health court while living on the streets, so the mission’s shelters are a fallback while participants just released from jail get their lives back in order. Curtis O’Daniel, 41, lives at one of the sober-living houses that requires one of the $55 housing fees. O’Daniel, a Boise native, was diagnosed at 13 with depression. That morphed into major depressive disorder with psychotic features. Now, he is diagnosed with schizoaffective disorder — a mix of bipolar disorder and schizophrenia. He’s been sent to Idaho jails and psychiatric hospitals “too many times to count,” he said. But living at the sober-living house in West Boise may help cement his recovery from drug addiction, he said. One reason? He can walk a few steps from his room and be at an Alcoholics Anonymous meeting. When you meet O’Daniel, you might notice the short-cropped silver hair. Or his black clothes. Maybe you’ll notice how long it takes for him to make eye contact. O’Daniel is in the earliest phase of mental-health court. He started in June and moved into the sober-living center a month later. He says the hospital stays would always help at first, but then he’d be released and on his own. He always returned to drugs. O’Daniel ended up in Ada County Jail after a three-day meth binge that ended in a felony arrest. Now, he sees a psychiatrist twice a month through mental health court. His prescriptions are a shot of an antipsychotic every two weeks, another drug to manage the antipsychotic’s side effects, an antidepressant and a medication that helps him sleep. O’Daniel still has frequent thoughts of suicide but calls his mother or a suicide hotline when he’s feeling very low. If he completes mental-health court, he can avoid going to prison — a big motivator to stick with it, he said. “I got seven years hanging over my head for residue in a pipe,” he said. He is encouraged by his mother, Patsy McGourty, who spent her career in courtrooms where people are involuntarily committed. McGourty eventually sought to have her own mother and son, O’Daniel, committed. McGourty is quick to praise the mental-health courts, as well as the involuntary psychiatric hospital commitments that run at breakneck pace through Idaho’s courts. 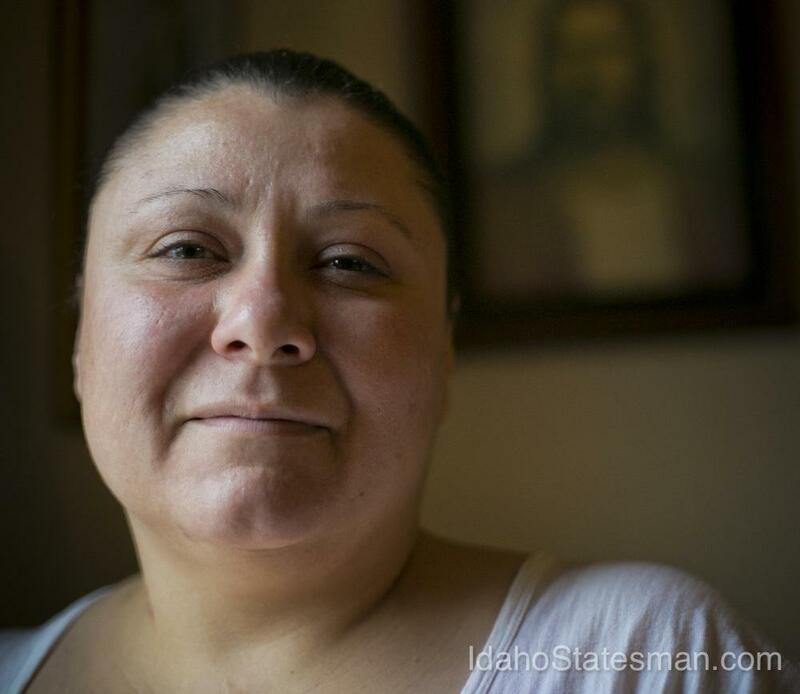 She just wishes Idaho would invest in prevention — to pre-empt the mental health crises that stretch the limits of Idaho’s courts, jails and prisons. The Guevaras tease each other at dinner about their favorite NFL teams' performances. Shannon Guevara is now getting psychiatric care after a felony arrest and waiting to hear whether she'll go back to jail or get fully into a court program. Roman Guevara has dropped his divorce lawsuit. Shannon said she hasn’t used drugs since July. Shannon visited a court-appointed psychiatrist for the first time in years a few weeks ago. Before the appointment, she fretted. What if the drugs made her feel like a zombie again? Would she miss the energy from manic episodes — energy that created nothing but havoc but made her feel like a superwoman? What if meds changed her personality? A few days after her first appointment, she smiled and laughed with relief. The psychiatrist gave her a new drug, Latuda, that wasn’t knocking her out. It made her feel like the Shannon who cooks dinner, sleeps through the night, takes showers, doesn’t crave meth, doesn’t go on shopping sprees. The “regular” Shannon. Now, the Guevaras wait to hear what comes next — whether Shannon will end up in prison or mental-health court. Roman hopes for a fresh start with the woman he loves, without the illness that throws their lives into chaos. 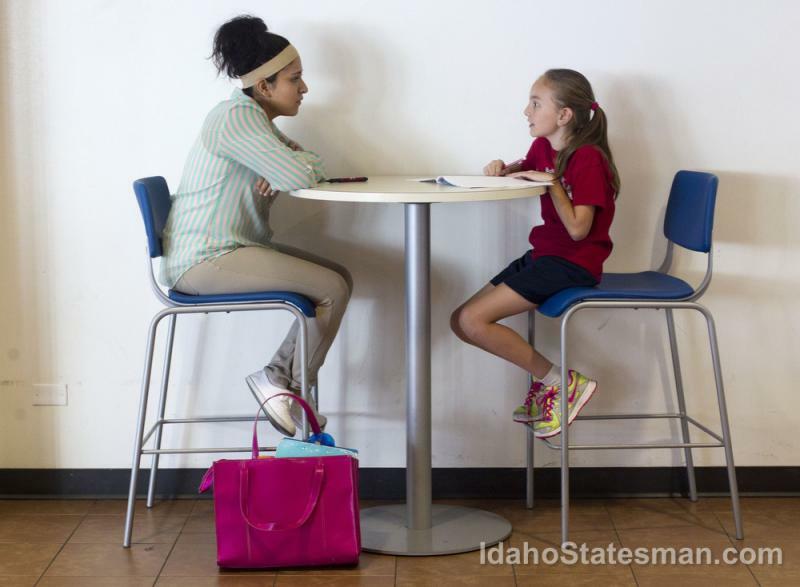 "In Crisis" is a series produced in collaboration by the Idaho Statesman and Boise State Public Radio. You can see all of the pieces, here.